If someone would've told me that I would be wearing a pink coat someday, I would've just laughed at them. Me wear pink HA! Never . 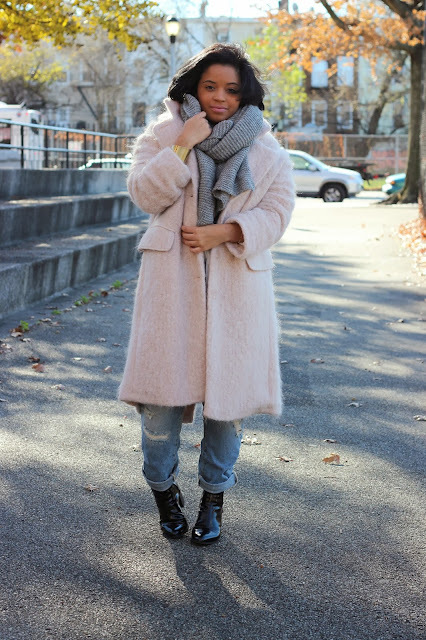 . . unless it's this beautiful oversized light pink coat. 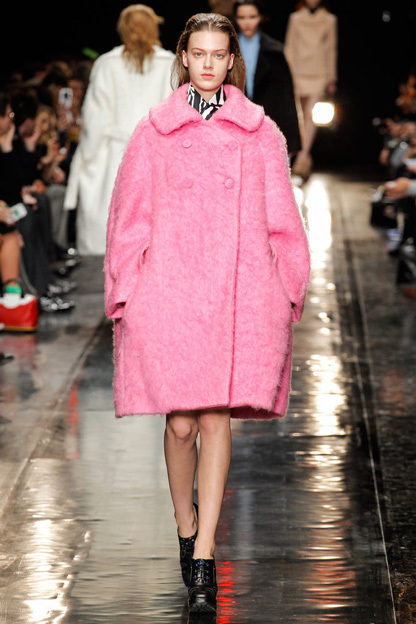 Pastel coats were all over the runaways during fashion week, e.g., Céline, Carven, Jonathan Saunders, and this gorgeous Mulberry coat; you see my point right? So you see why I couldn't resist not buying this beautiful bad boy, not to mention how freaking comfy this coat is; I wanted to sleep while going to work! Since the coat is a light color I decided to keep my outfit very basic and minimalistic, white blouse, boyfriend jeans (my favorite kind to wear), and the famous zara Chelsea boots. OH! How can I forget about that comfy oversized knitted sweater, bless your heart zara you guys never disappoint me.